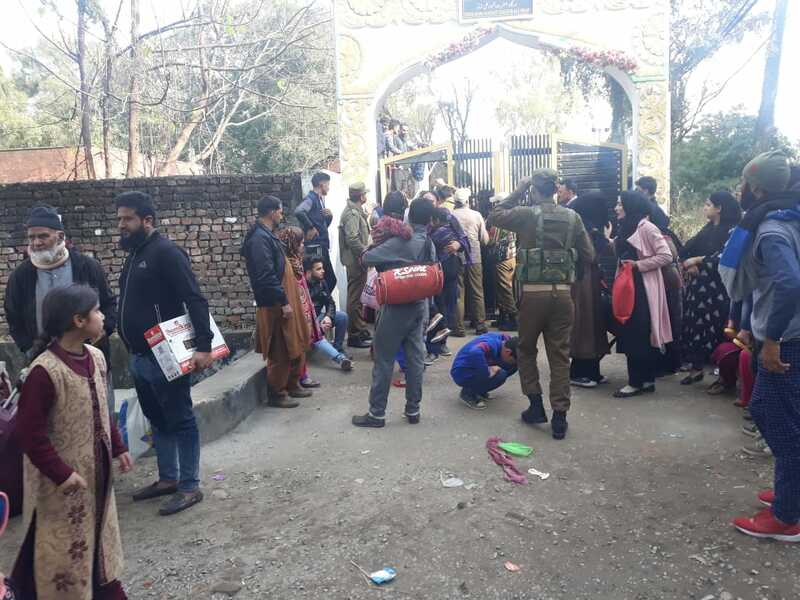 Srinagar: Science college Jammu students on Monday pelted stones on stranded Kashmiri passengers in Jammu near Kanal road where the passengers had assembled to protest against the failure of state government to airlift them to the “disconnected” valley. Eyewitnesses said that the passengers had assembled at Kanal road near the college and raised slogans against the administration. “Some people raised slogans in favour of Pakistan which angered the Science college students who attacked the Kashmiri stranded passengers,” they said. Meanwhile police reached the spot and tried to pacify the situation. However, the college students again attacked the stranded Kashmiri passengers with stones which injured two passengers. However, Police immediately swung into action and lathicharged the students. Reports said that four students have suffered injuries in the police action. Thousands of Kashmir bound passengers are stranded in Jammu as the Kashmir highway is shut for last six days due to landslides at some places. The prices of air tickets have skyrocketed further infuriating the stranded passengers.